After many interesting assessment days and job applications, I successfully gained a two year graduate role with Skanska UK. Since then I have been able to complete the graduate scheme and gain a permanent role in Skanska as a Construction Planner. My role gives me the chance to continually learn and develop my knowledge each and every day, as well as meet and work with a range of people. When I began my degree, I was not completely sure which particular job path I wanted to pursue. All I was sure about was the ambition to work within the construction industry in some way. However, during my degree, I learnt a lot about my strengths and discovered the most ideal and enjoyable job for me was as a construction planner. All firms vary significantly with regard to what they are looking for in an individual, and therefore knowledge about construction is surprisingly not the highest priority for many companies. Individual skills such as communication and teamwork were far more sought after, and therefore it was not only important for a company to like me, but for me to enjoy working for the company. I personally feel the support I received from lectures helped me to reach where I am now. Before starting university, when I heard about the personal study time offered by universities, I was worried that this meant that there would be no involvement from lecturers. However, the lecturers at University of Plymouth were always available to answer any questions – not only construction questions, but also with personal and career help. They pushed each and every individual and played a big role in helping me to get to where I am today. My favourite memory is my last day at university. After months of hard work, we had to deliver our final project to groups of professionals. The reason this is my favourite memory is because I was able to see how far not only I, as an individual, but my entire class had grown and developed. After four years at university, this day was the first step towards everyone’s career in construction. 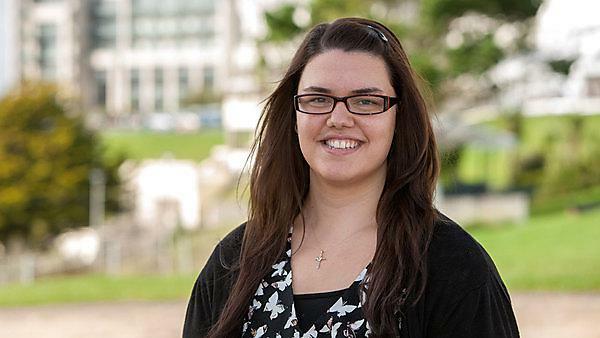 Would you recommend undertaking a course with University of Plymouth , and why? Definitely, as I have had an amazing time at university; not only have I been able to achieve my degree, but I have also created amazing memories and friends. I would recommend University of Plymouth to any person hoping to achieve great things and also have a bit of fun. There is never a dull day on campus and if given the chance I would love to do it all over again. For more information about construction management and the environment, please visit the BSc (Hons) Construction Management and the Environment course page, or for information about our range of courses within the School of Art, Design and Architecture, please visit the school page. If you would like to find out what other alumni are currently doing, please visit the architecture, design, building and construction interest area.